Winter Goddess Foods: Back in the saddle again! 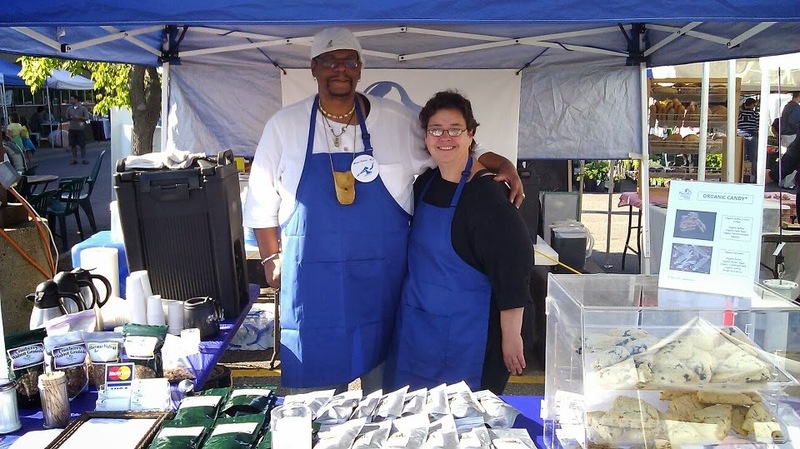 Due to my recovery from surgery, Terry has had to do the lion's share of the work in order to keep our business going, including making product and doing the heavy lifting at our Midtown Farmers Market. While I was able to contribute in many small ways, it was her drive and determination (not to mention her own "sweat equity") that saw us through until I was able to resume the heavy lifting. All of this, plus she took great care of me as I recovered. (Thank you baby! I love you!) I was able to return to the market and my regular duties for the last 4 dates in October. I was grateful to receive a warm reception and welcome back from our loyal customers, and from the other vendors as well. On the last day, we even received several gifts and cards from our long time customers, who wished us well during the off season. We truly have a tight community at the Midtown Farmers Market. We were very sad to see the market season end. Imagine our joy when we received invitations to be vendors at not one, but two winter markets in the area! Due to the large number of vendors and the limited amount of venues and spaces available, generally these winter markets end up being "closed shops," and extremely difficult to get into. However, due to our association with several folks who know the quality of our products, we were invited to the farmers market days at the Best Buy corporate offices (a huge complex that employs thousands of people, and sports a huge mall like center within its cavernous walls) as well as the newly established Winter Market in Prior Lake! We are truly thankful to be a part of both venues, and to establish new relationships with the great folks there! With the coming of colder days, we are receiving more and more requests for our organic hot drink mixes. 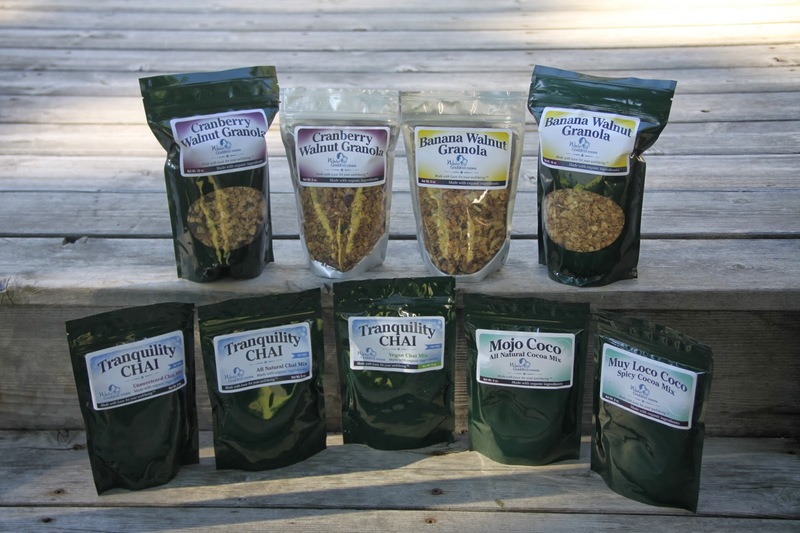 Our Tranquility Chai, Mojo and Muy Loco Coco's are once again in great demand. Since we are also officially into the holiday season, our organic Caramel Moments and Oh My Goddess!™ butter crunch toffee are being purchased as Holiday gifts, or as a better choice to present to visitors and guests at holiday dinner parties. Even our Cranberry Walnut, and Banana Walnut Granolas are being used as "stocking stuffers" for the person who has everything. We are truly honored that folks consider our products as healthier alternatives to the normal holiday fare. Physically, Terry was struck down with the mother of all cold viruses in November, after five years of avoidance due to her strong Belgian constitution. It was pretty bad, as well as frustrating for her, but after two weeks of tender loving care, and the right foods, herbs and supplements, she was able to pull through and resume being our "rock." As for me, my new hip continues to improve, and I spend much more time walking without a cane than I did prior to surgery. While this varies according to a variety of factors, including weather and fatigue, I look forward to the day where I can carry my cane by choice rather than by necessity. Any way you look at it, having the surgery was the best thing I could have done for myself! So there you have it. As you can see, we have had a lot going on in our lives. We are loving every minute of creating our wonderful products to offer to you and your family. Whether you are here in Minnesota or worlds away, we are honored that you place your trust in us to provide you with the best organic comfort drink and comfort snack products that we have. Thanks for your continued support, and for continuing to follow our blog.